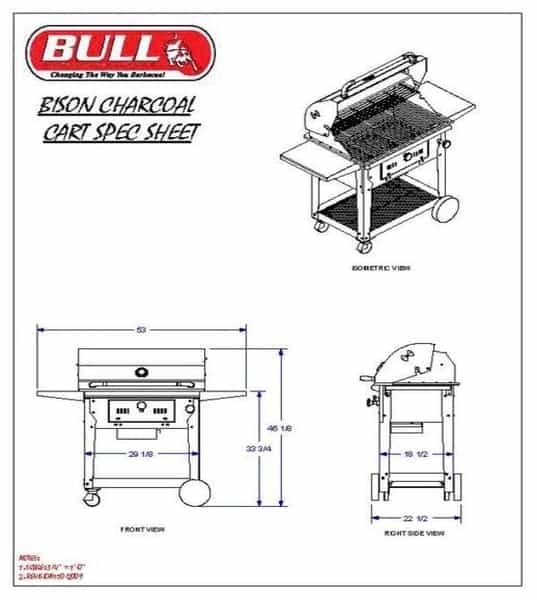 The Bison Grill Cart Charcoal features the Bison Grill Head that sits on a movable cart. The cart sits on four movable casters that lock in place when it’s time to settle down and make dinner. 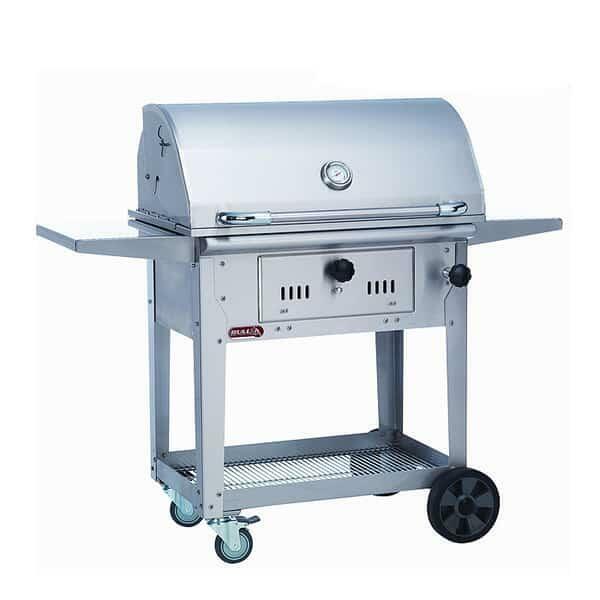 The grill cart is independent of any other outdoor grill island or outdoor kitchen, so it may serve as an independent addition to your existing outdoor cooking area, or it can act as a standalone piece. 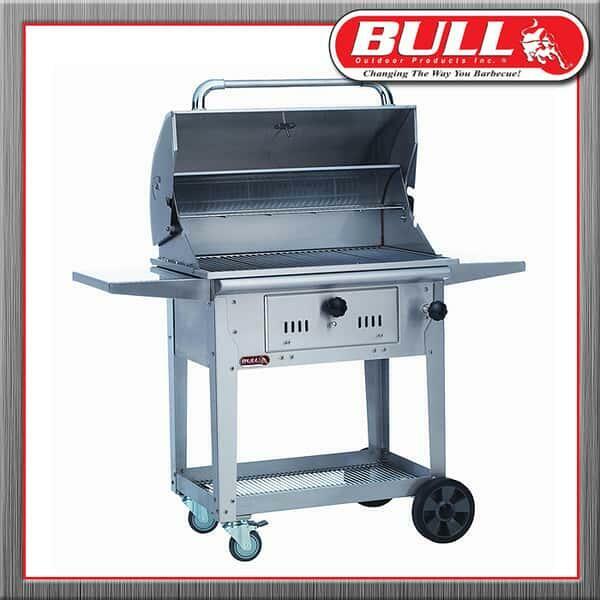 BullGrills are some of the best in the outdoor cooking business, and the Bison Grill displays the basic features that make Bull famous with fanatics. 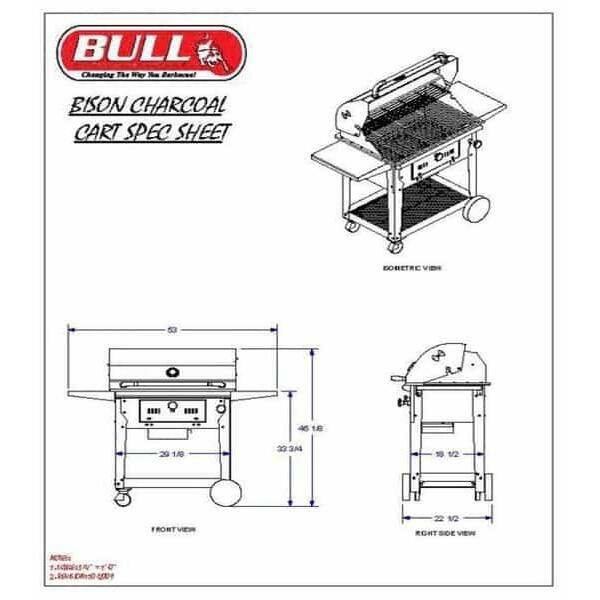 With the Bison, you enjoy grill master-level accouterments like excellent heat distribution with both low and high temperatures, E-Shape burners with four rows of burner ports for each, a 12’’ firebox for convection cooking and more.